This week was the Music Department’s Winter Dinner Concert. This annual fundraiser was organized by Arts Department Chair Melissa VerCammen, with assistant principal and culinary diva Khashiffa Roberts catering. The event features performances by the various choirs and the Jazz Band. 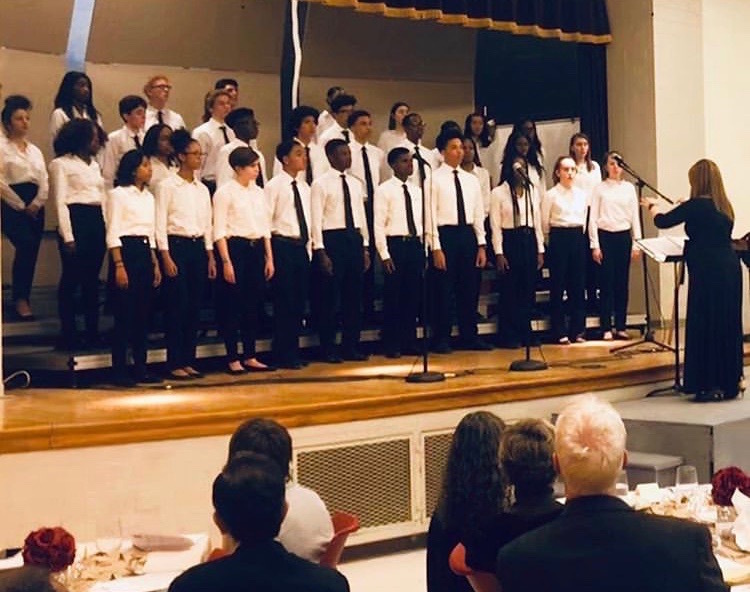 Our music department includes an eighth grade choir, the Latin Voices choir, a small Honors Choir, and the band. Students perform regularly inside the building and around D.C. The choirs also take trips to New York City, Pittsburgh, and are fundraising for a planned trip to New Orleans for the Jazz Band.